Today, Neblett, Beard & Arsenault purchased plate lunches from the Louisiana Probation and Parole Officers’ Association in support of their efforts to raise money for the medical bills of one of their fellow officers. The LPPOA made almost 750 plate lunches today for the fundraiser, and some of those plates went to educators right here in Cenla. 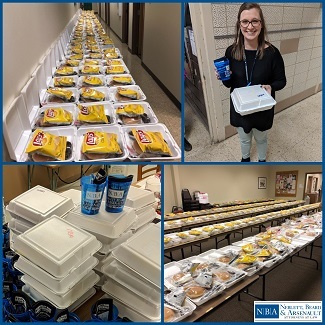 The firm donated its purchased plate lunches to the faculty and staff of Pineville Elementary School, along with goodie bags in appreciation of everything teachers do for our local communities. The firm was happy to help raise money for the LPPOA, and serve our local teachers at the same time.